i Still write: And the Man in Black returns..
Hello I'm Johnny Cash.. Well OK not me but this dude below. 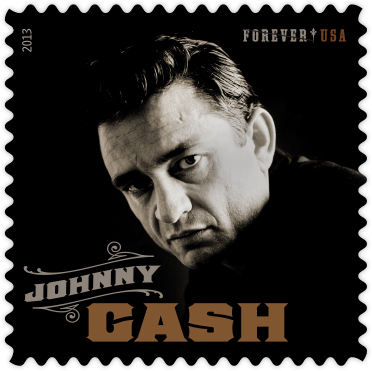 I love this Johnny Cash stamp. Can't wait for it to come out. I am sure someone said there is a give away coming...oh my, I love postage stamps too!! I am keen to get more info about the New England Lighthouses set. I am hoping the ceremony will be at a lighthouse convenient to me. Johnny Cash is the 2nd most mentioned to other people since I know quite a few music and/or Johnny Cash fans.